If you’re visiting Arizona and need RV glass repair or replacement on your journey, call us today – 855-778-4527 . We love Arizona, understand the issues affecting RV glass in the state, and can even help you with our truck and mobile services on the fly. Arizona is one, if not the, most popular RVing destinations in America. Competing with Florida with near-perfect weather year-round, this is a huge destination for snowbirders, retirees, and RVers looking to put down more permanent travel roots. Here are five of the best places to visit in Arizona when RVing to, thru, and from The Grand Canyon State. This is a no-brainer. If you’ve never visited the Grand Canyon or have only seen parts of it, Grand Canyon National Park should be on every Arizona traveler’s bucket list. Stretching along the Colorado River for more than 270 miles, the South Rim is open year-round where the less-visited North Rim is seasonal. 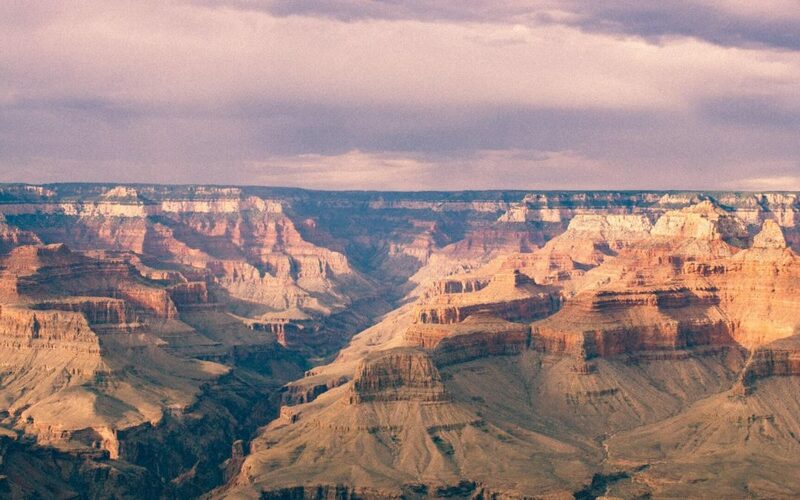 With more than 50 points of interest alone in the South Rim, there’s something for every traveler at the Grand Canyon. The Sonoran Desert National Monument is almost 500,000 acres of mountains, cactus plains, and a gorgeous view of nearby Phoenix. There are no real attractions here other than nature itself, making it the perfect place for you or your family to explore on your own without the hustle and bustle of other National Parks and National Monuments across the country or even within Arizona itself. If you haven’t heard of Route 66, you may be living under a rock. Route 66 is the most iconic highway in American and perhaps the world. It’s one of the largest and most popular RVing trips, too. Covering more than 2,000 miles from Illinois to California, there’s something for every traveler on this highway and Arizona has some of the best pit stops on the route. Make sure to hit some up the next time you’re RVing through the state. Meteor Crater is one of the most preserved meteor impact sites on the planet. People flock to this location from across the globe but why not RV to and stay nearby when checking out the area? More than 50,000 years ago, an asteroid made impact at this location and created a 2.4 circumference crater and a lasting impression on the geography of Arizona. With a Discovery Center on site to learn more and a Rim Trail tour to take, enjoy this incredible destination in Arizona. Lake Havasu is home to the London Bridge – the original London Bridge that Londoners crossed across the Thames River. The original London Bridge was dismantled in 1967 and reassembled by a buyer in Lake Havasu City. Lake Havasu itself is a destination for travelers of all kind, especially Spring Breakers and snowbirders. Why not see this site yourself and take a 90-minute walking tour across the London Bridge without venturing to England to do it? Let Mobile RV Glass be your glass repair or replacement help when traveling or staying in Arizona. Call 855-778-4527 today and let us know how to we can help. From foggy window replacement to one piece glass repair/replacement, we have everything you need to get back on the road.